If you’ve been saving up Chase Ultimate Rewards points to book that Disney vacation you’ve been dreaming of, you might want to change your strategy. It has just been announced that you can no longer use the Chase travel portal – or your accrued points – to book your dream vacation to the Happiest Place on Earth. So, what is changing and what does that mean for those of us who have been earmarking tens of thousands of Ultimate Rewards points for this exact use? Chase Ultimate Rewards points can be earned on a number of Chase-branded credit cards, including the Chase Sapphire, Chase Freedom, and Chase Ink lines. I personally use the Chase Sapphire Preferred card daily, and enjoy watching my Ultimate Rewards balance climb as a result. You can also earn these points by utilizing credit card sign-up bonuses, referring a friend who then opens a Chase card of their own, or doing your online shopping through the Chase shopping portal. Chase Ultimate Rewards have different redemption rates depending on the card(s) you carry. Across the board, 1 point is typically worth $0.01 if you are redeeming for cash (in the form of a statement credit), no matter which card you use. However, if you redeem your points for travel – whether that be flights, hotel stays, cruises, rental cars, or even tickets to select experiences – your points could be worth a lot more. If you carry the Chase Sapphire Reserve, for example, your points are worth 50% more. So while 50,000 points is worth $500 in a statement credit, it’s worth $750 toward travel booked through the Ultimate Rewards portal. 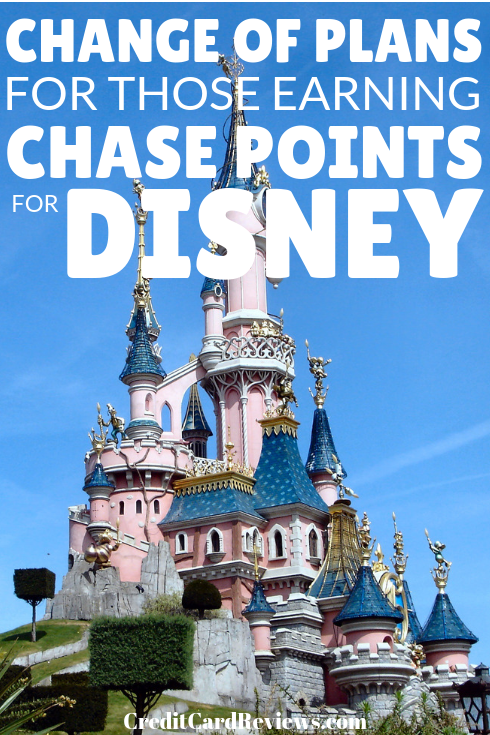 This has made Chase Ultimate Rewards an enviable choice for pricey Disney vacations over the years, since your points (and therefore, dollars) go so much further. That is all changing, though. It was just announced this week that Chase cardholders will no longer be able to redeem their Ultimate Rewards points for their Disney vacations. This means that you cannot use these points – and their often-valuable redemptions – for theme park tickets, Disney cruises, or even accommodations in the parks. If you have existing reservations for Disney accommodations, which were booked through Ultimate Rewards, those will still stand. However, you will be unable to book new reservations for your magical vacation using these points. For some families, this is a devastating blow. 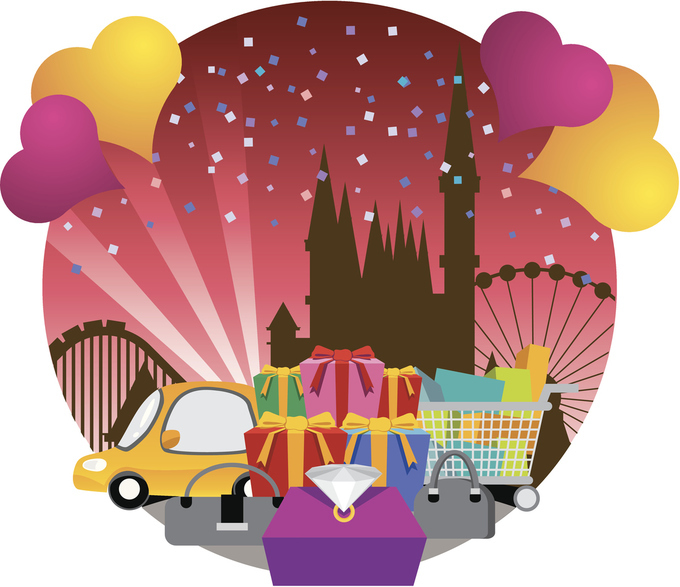 I have personally saved up over 90,000 Ultimate Rewards points, which were earmarked for my family’s 2019 Disney trip. I intended to use those points (and my 50% points bonus) to book as much of this trip as I could. Now, plans will need to change. While you can’t purchase Disney theme park passes, pay for Disney cruise tickets, or book your on-site hotel stay through Ultimate Rewards, you can still use your saved rewards to pay for your next Disney vacation. You’ll just have to be judicious about what you book and how. If you don’t carry a Chase card that offers an Ultimate Rewards point bonus (like the Sapphire Preferred, which offers 25% extra, or the Sapphire Reserve, which offers 50% extra), you can simply book as usual and redeem points for a statement credit. In that way, you’re still “using” your points to pay for your Disney trip. If you do get a rewards bonus, though, you want to utilize it to the fullest. You can still book your flights to and from Disney through Ultimate Rewards, taking advantage of the bonus. If you need a rental car to get to the parks and back, you can also book this through Chase’s travel portal and enjoy your bonus redemption. If you have your heart set on staying at one of the hotels in the park, you’re out of luck with your bonus Chase points. If you’re willing to be flexible, though, you can still use Ultimate Rewards to book any number of nearby hotels that are almost just as great. Many of them are mere minutes from Disney, offer free shuttles to the parks/airport, have kid-friendly pools, and even offer enviable room sizes and dining options. This sudden change is sure to catch many Disney-and-Chase loving families off-guard, as it did me. However, with the right planning, you can still enjoy your magical vacation whilst utilizing that rewards points bonus that you deserve.